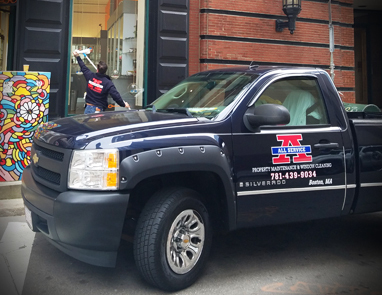 All Service Window Cleaning serves homeowners and businesses throughout the Boston area. 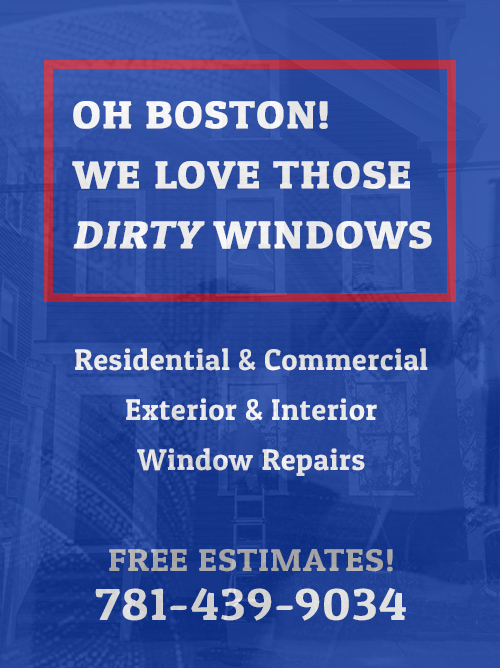 Providing window cleaning services to businesses and homeowners throughout the Boston area. All Service Window Cleaning provides interior and exterior window cleaning. Whether your windows are hard to reach, layered with years of dirt, smoke and dust, we'll get your windows squeaky clean. Our commercial clients understand the importance of having clean windows whether you have a storefront or office space, you want your customers to see you brand shine and your windows. Do you have old windows that are in bad shape or drafty causing expensive heating bills? Did you know we can repair your windows for thousands less than replacing them?! Call us for a free estimate. 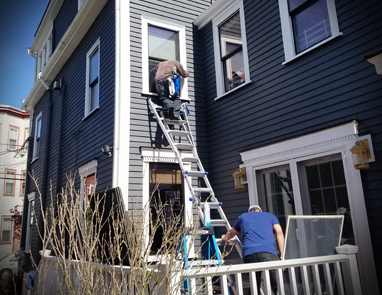 All Service Window Cleaning serves homes, apartments and condos throughout the Boston and surrounding areas. 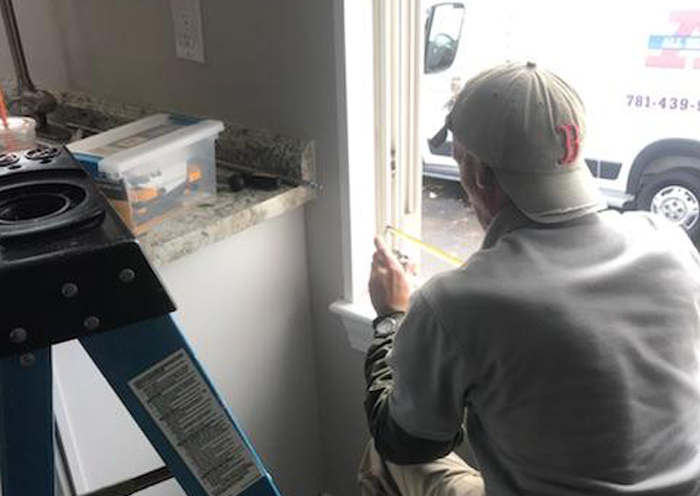 Inside, outside, hard to reach windows, custom windows, sunrooms, sky lights...we do it all. If your windows need a professional cleaning, call All Service Window Cleaning. All Service Window Cleaning specializes in high traffic retail locations, stores with street front exposure, and office spaces featuring large window areas. We work with businesses to provide regular, spotless window cleanings that result in a clean, professional appearance. We will work with you to clean your windows around low traffic times to avoid customer and business interruptions. What our amazing customers have to say about us! "I have been cleaning my own windows on my house once a year for 5 years until recently. I hurt my shoulder at the time I usually clean them so I decided this year I would hire someone to do it for me. I came across All Services Window Cleaning and gave them a call. From the time my call was picked up to the time the windows were done I had #1 A service. The owner Nick is such a great guy. Very professional, very detailed, definitely knows what he is doing and great prices. I thought my windows were always clean when I did them but boy what a surprise!!! Nick had them shining like I have never seen before. I will now be hiring All Services Window Cleaning every year....job well done!" "The cleanest, I mean cleanest windows ever. I hired all service window cleaning for my many strip malls and so glad I did. Professional thorough and always there when I call and better yet there when there on there dated schedule time. So happy and so are my companies that lease from me. I'm having them do my house this week, can't wait!" "I've had my house done my storefront glass clean on a regular basis for a few years now Nick is by far the best I've ever seen always answers the phone great to deal with never misses an appointment must say must have I rate him five stars and beyond one of the best service business I've ever seen it's honestly a pleasure to deal business with him and look forward to continuing it A true professional!" "A co-worker recommended All Service to do the window cleaning. Nick returned my call instantly. We scheduled a day and they showed up 15 minutes early on the job which I thought was pretty good considering the distance they traveled. They came fully prepared to tackle my various projects. They did an excellent job and cleaned up after themselves. My wife was most appreciative that they didn't trample her extensive flowering bushes and plants. Overall it was an excellent experience dealing with All Service and I would recommend them to a neighbor or relative without hesitation."